For a natural storage of CO2, Carbon Forest uses natural forestry techniques. From the branches to the roots, a tree is capable of capitalising the carbon in the long term with a responsible management of the forests. If the clean cut of trees causes a fast regenaration of the forest, the soil erosion that follows causes a loss of carbon contained in the ground that elevates itself in the atmosphere in a matter of years. However, the method of cut by sampling helps to get better results. 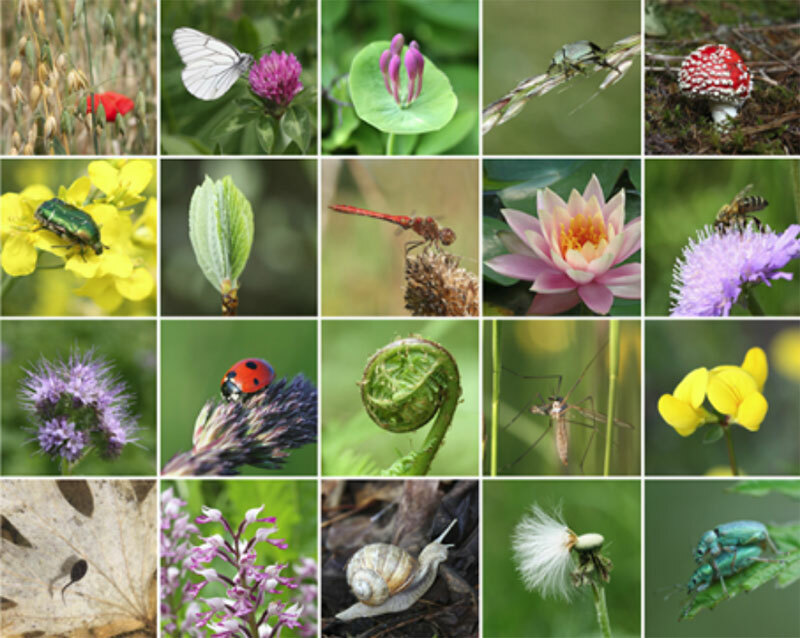 By respecting the age and diversity of species, studies have shown that carbon stays stuck in the humus, the soil and the roots…. In the long term, the root system can contain 30% to 100% of additional carbon. Containing organic elements, it consists of the first source of energy for vegetals; an essential part of biodiversity. 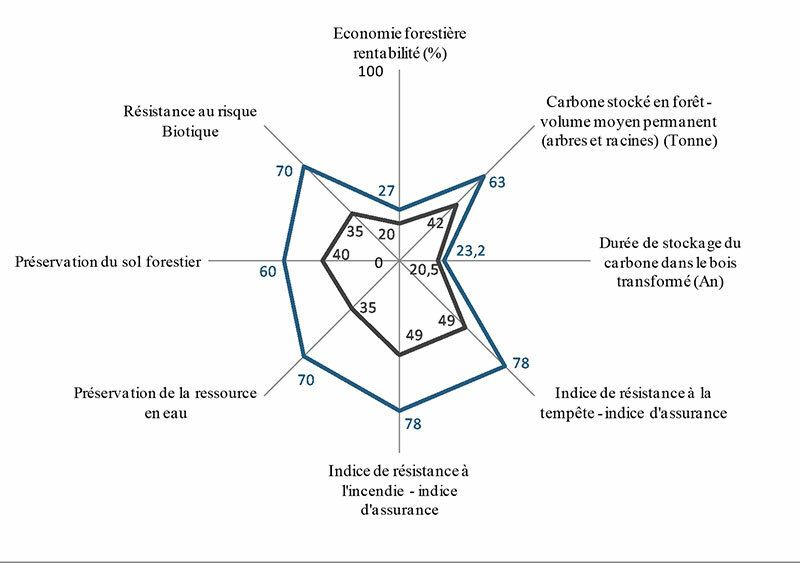 In the table, we can see a carbon storage 29 tons superior, which represents a 39% increase for continuous and natural forestry. However, since continuous and natural forestry does not need any plantation, as it regenerates automatically, the added value is even greater for the method. By protecting the soils, the stored carbon participates in the diversity and health of the trees and their animalhood (birds, insects, or living organism in animal or vegetal species) and from their habitat, whilst offering a greater resistance to harmful insects and and other invasive species. This method of forestry follows the slow evolution of the environment and landscape. This type of management also enables to minimise the risks of forest fire as well as the risks of natural disasters. Finally, a continuously managed natural forest enables the development of its ecohydrological system by offering a better filtration, absorption and purification of the water. 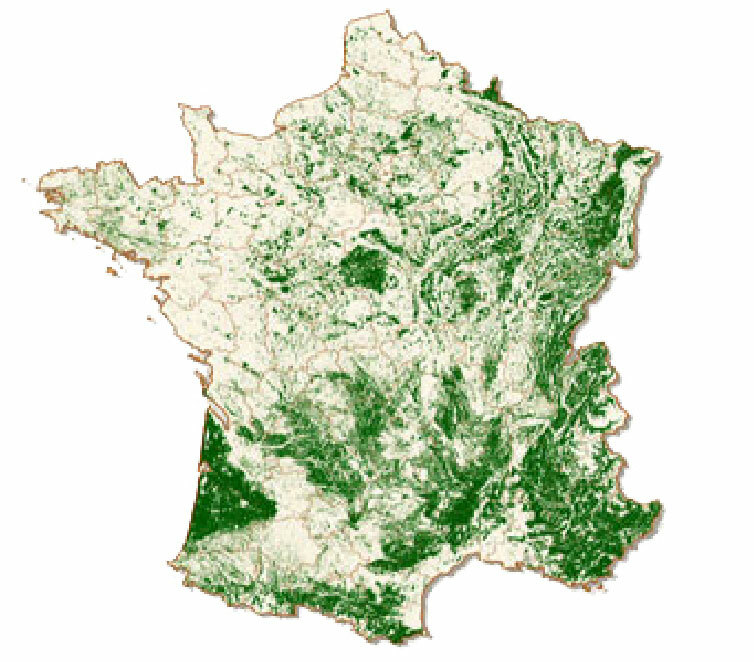 The forests represent 31% of the French territory and employs 300,000 individuals. Therefore, it has a great economico-socio-cultural impact on the country. A responsible and efficient management requiress a complex organisation. Convinced that forest management can come to terms with economical and social goals, the method of forestry imposed by Carbon Forest offers a wood production of high quality and therefore with high value. With a large diameter, the latter is used for the construction of objects. 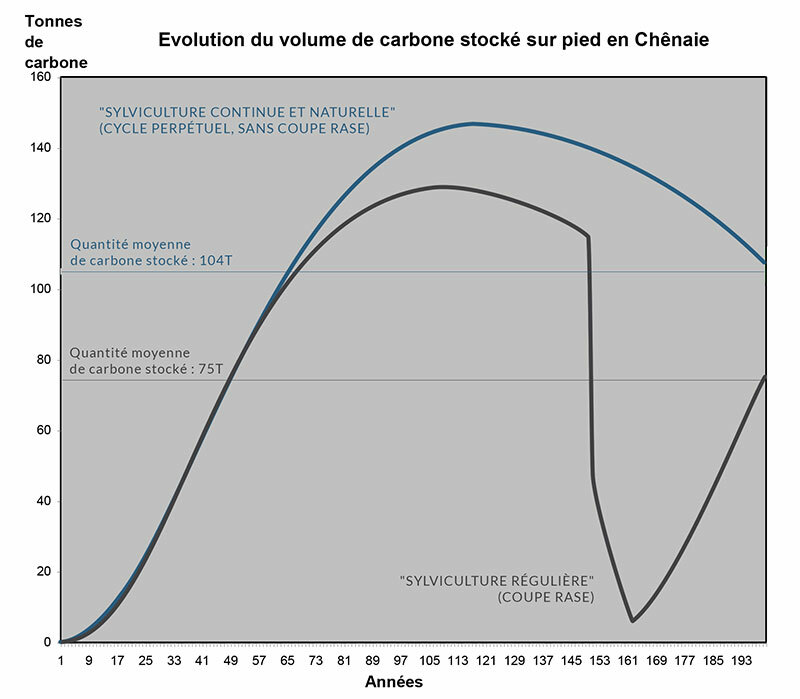 Carbon is then capitalised in the long term in the transformed materials. In addition, by investing locally, you increase the economical value of the forest, contribute to a greener transition and participate in a citizen act for nature. As the first company in its sector in France, Carbon Forest wishes to connect at a national level. Having established contact with several forest owners on the territory, Carbon Forest has decided to concentrate on the closest sources of CO2 emission. Which ever type of company you have, Carbon Forest is capable of finding a corresponding forest for you. This way, to balance your carbon footprint becomes a concrete possibility. Companies that operate at a local level are closer to the forests that surrounds them. It enables the companies to take control over unavoidable issues in our society. Finally, by investing locally, the impact of Carbon Forest enables a more circular economy.